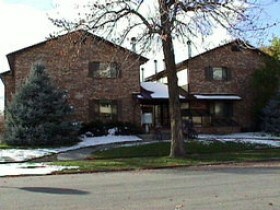 The Presidio Condominiums are located at 515 N 200 E in Provo, UT 84606. The Presidio Condo Provo Utah are BYU approved and built in 1984. These condos have 14 units. Presidio Condos in Provo Utah HOA. Monthly Presidio HOA Fee: $117. Presidio HOA Fee Includes: High Speed Internet, Basic Cable, Water, Sewer, Trash, Exterior Maintenance. 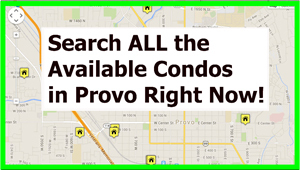 I searched the multiple listing service for sold data regarding the Presidio Condo Provo Utah. Here is what I found. The earliest recorded condo sold in August 1996. This condos sold for $93,900. Priced rose from 1996-1999 to $104,900. In 2005 the condos high a high of $136,500. According the the MLS no condos in Presidio reported being sold for the next five years. In 2010 one sold for $138,000. In 2012, I noticed one for sale that was asking $154,900. The nice thing about the Presidio condos is that they are located within walking distance to BYU. If you own a Presidio Condo in Provo Utah and would like a free market analysis contact Paul Teasdale with Team Teasdale Realty. Paul has been selling condos around BYU since 1995. Paul will send you an update report regarding your condos current market value. Are You Thinking of Buying a Presidio Condo? The Presidio Condos are truly excellent condos. I have visited them and sold them over the years. If you would like Paul Teasdale of Team Teasdale Realty to look for an available Presidio Condo let him know. If none are available, Paul will help you find similar condos in the Provo Utah area. A Provo Utah Condo buyer will find two types of condos located around BYU. The traditional BYU condo and the townhomes. The traditional condo typically stacks three stories while the townhome enters on the main level and typically has two floors. A townhome does not have neighbors above or below. The Predisio Condos are really more of a townhome style.